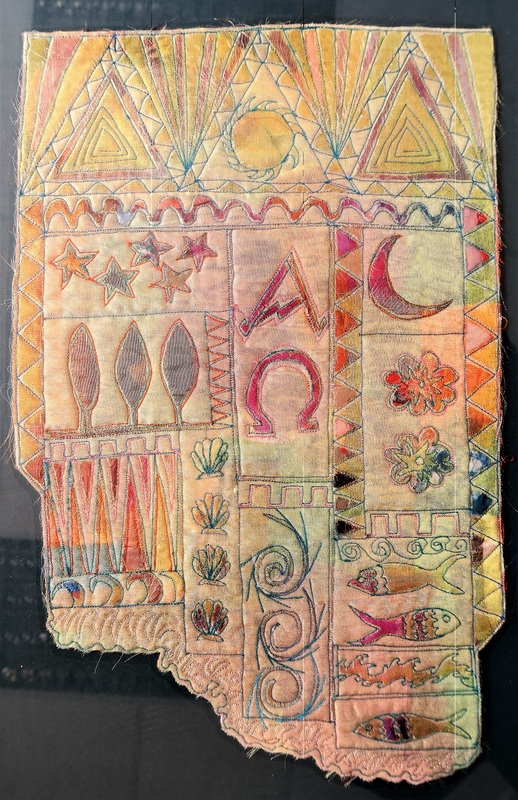 After successfully completing City & Guilds Creative Embroidery, Bernice continued to work with textiles until Art Journaling and Mixed Media called. 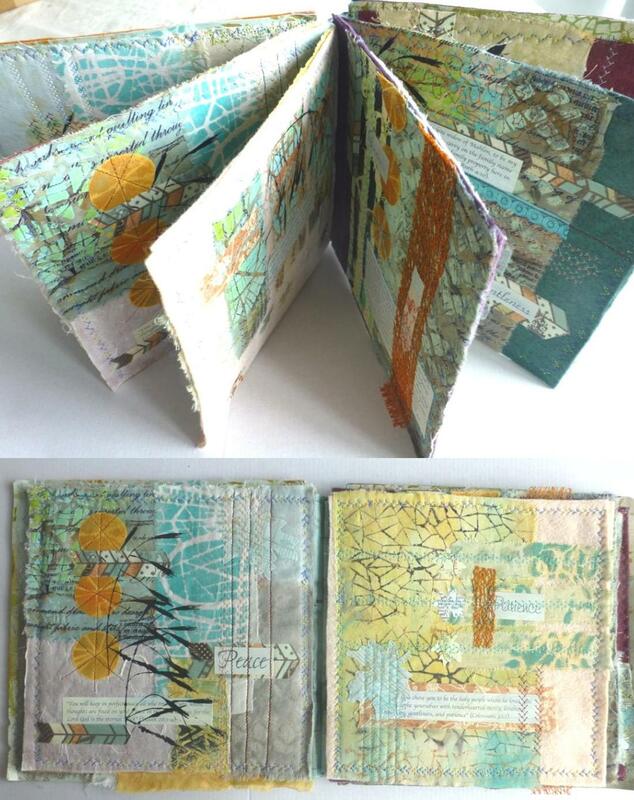 She particularly enjoys making books and has taught online workshops making altered books and handmade themed books. Her return to textile art came through making a fabric and mixed media book and she is now developing work that combines her mixed media and creative embroidery skills. In seeking to find her own voice Bernice spent a year working with a limited colour palette and mostly on the theme of Venice. Now working on a Master Practitioner course, Bernice has been encouraged to work in brighter colours. A challenge which she is enjoying. Bought rust dyed fabric, hand stitched and handwritten. A mix of hand printed and bought fabrics. Cotton and linen. Hand printed fabric and other cotton fabrics. Hand stitched. Hangs or folds up with button closure. Mixed media fabric and paper. Hand stitched and attached to canvas.